Most finance processes in modern-day organizations are now automated. Unfortunately the same cannot be said for VAT recovery. In this area , much of the process is still highly manual. Manually sifting through masses of paper invoices, one by one, is labor-intensive and wide open to human error, and it's simply not cost-effective to manually validate each invoice, even though these invoices can add up to big money, they’re often completely ignored. There are three keys that help unlock the effective ownership of VAT Recovery: processes, data quality and technology. For each of these, a change in mindset, followed by a change in actions, is necessary in order to optimize VAT Recovery efforts. Today, new technologies provide opportunities to optimize and automate foreign & domestic VAT recovery. 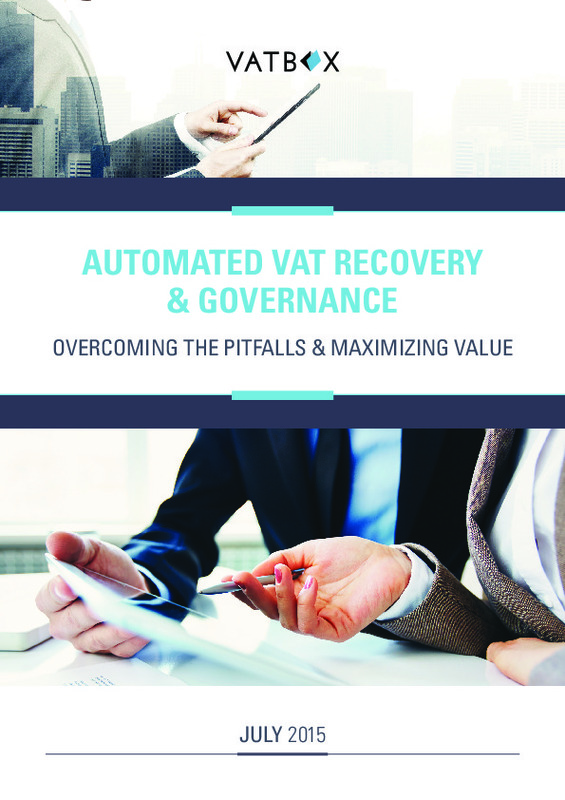 Please download this white paper to find out what other global companies have been doing to help maximize VAT recovery.